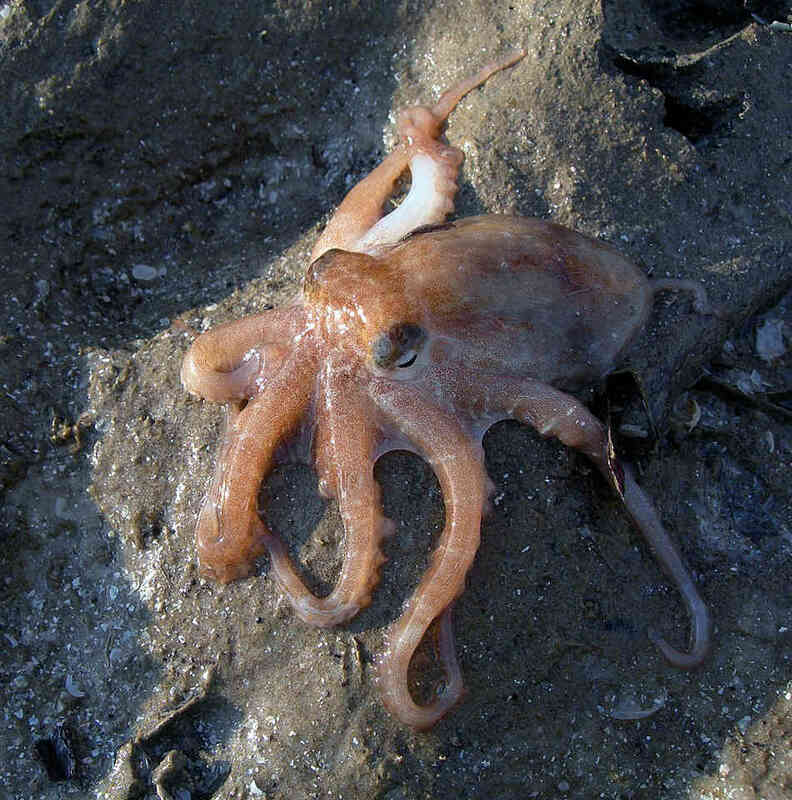 Small octopus (to 150 mm) with relatively short arms. Skin generally smooth, with scattered minute pimples. 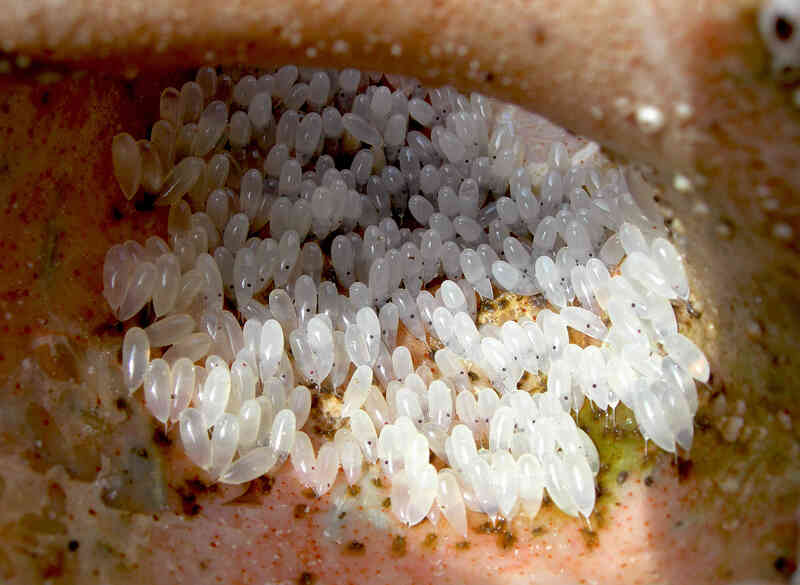 Regularly found cast ashore inside empty shells, often in lightning whelks, Atrina pen shells, quahogs, cockles, and other large shells. 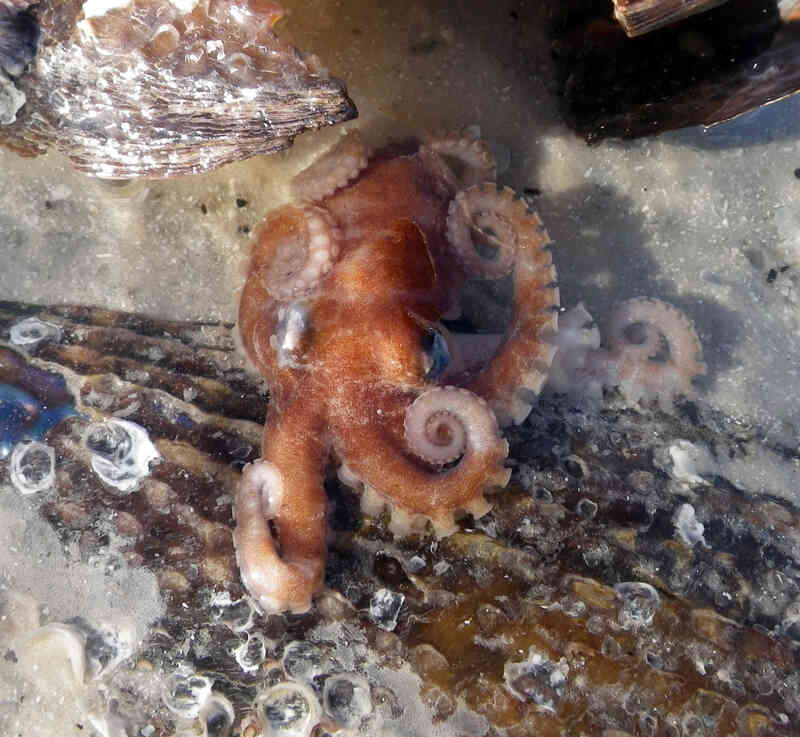 Main photo of pigmy octopus and additional images of octopus and egg mass taken on Kice Island, Collier County, by Amy Tripp.